When using a bluetooth headset, the visualization seems to delay a few seconds. 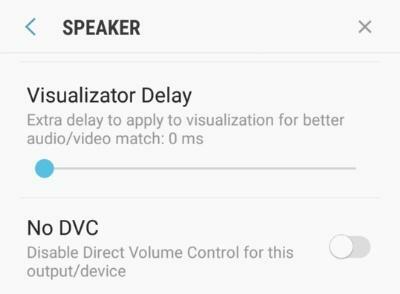 This is of course understandable due to the streaming delay of wireless, but is there a way to delay the visualization so that we can manually or automatically sync it up to the delay of the bluetooth? If not, is there a way to request this feature? Any help is greatly appreciated! Thanks a lot. Still getting used to these menu layouts but very nice to see all these features exist somewhere. Appreciate it!